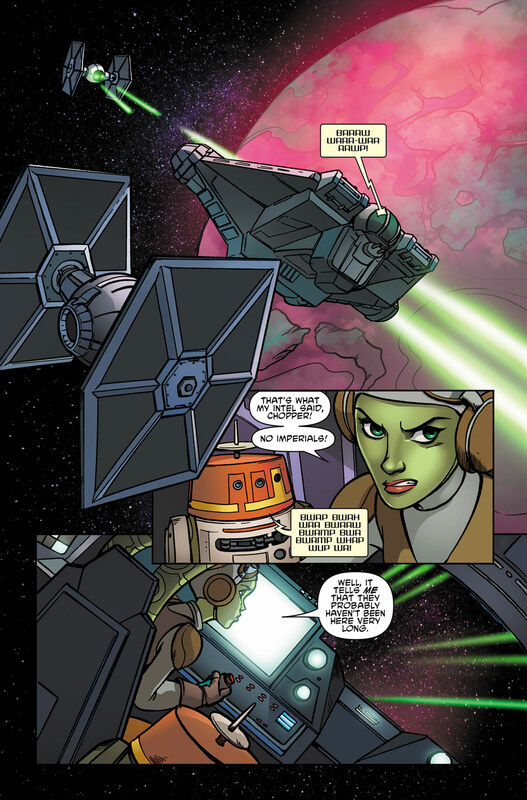 StarWars.com chats with the comic's creative team for a behind-the-scenes look at Hera and Chopper's tag-team mission. 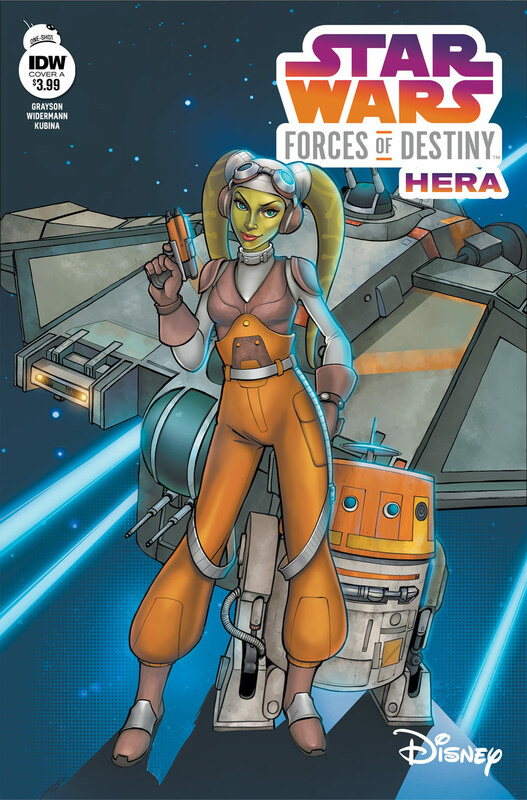 Spoiler warning: This article discusses specific characters and events from Star Wars Forces of Destiny: Hera. The Empire is closing in. 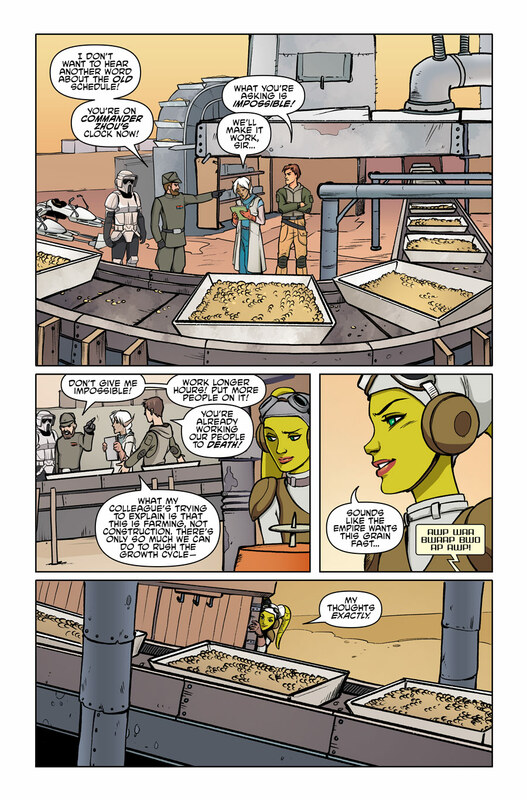 When Hera was first summoned to the Fekunda Outpost, she hoped to add the farmers there to the rebellion’s supply chain. Instead, she finds a society in danger of becoming enslaved in a hostile Imperial takeover and in need of her guidance to wage their fight. 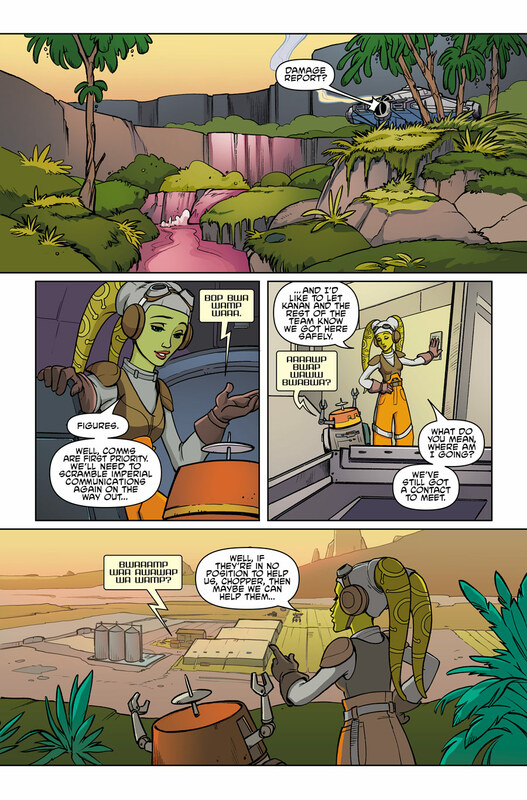 If you’ve ever wondered what Hera and Chopper get up to in between episodes of Star Wars Rebels, this third installment of the new Star Wars: Forces of Destiny five-issue series from IDW Publishing delivers an answer. 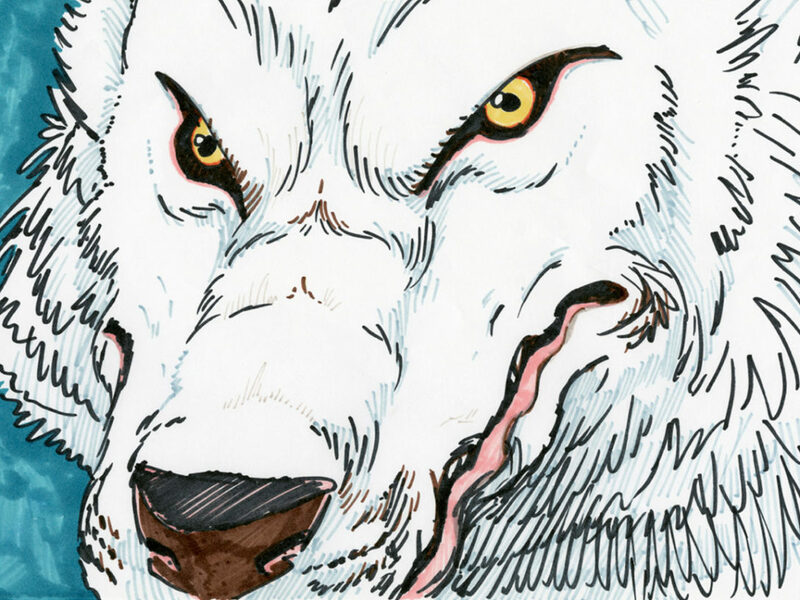 Throughout January, we’re sitting down with the rotating cast of talented creators behind the mini-series to get a behind-the-scenes look at each issue. This week, writer Devin Grayson and illustrator Eva Widermann, who teamed up on Star Wars Forces of Destiny: Hera (available today), e-mailed from the Bay Area and Bavaria, respectively, to tell StarWars.com about the artistic importance of Commander Zhou’s perfect coif, the subtle art of resistance, and learning to listen to Spectre-2 (because I think we can all agree there’s no point in arguing with the future General Syndulla). StarWars.com: This really feels like the Hera we’ve come to know and love on Star Wars Rebels. Devin, you spot-on captured her voice in every panel! You’ve been writing Batman comics for 20 years and racked up many other credits as a comic writer for the Marvel universe. 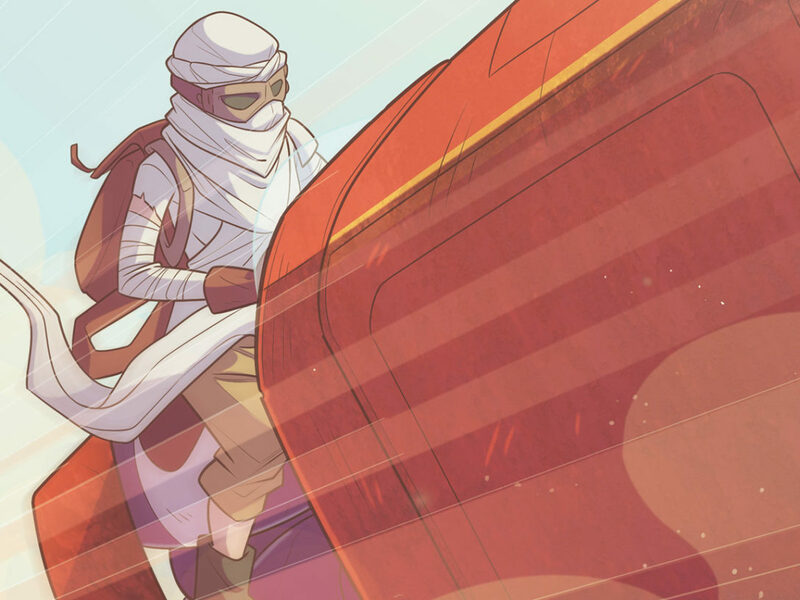 What’s it like to step into the shoes of a new character and explore the Star Wars universe as a whole? Devin Grayson: Thank you! It was a delightfully surreal experience because, on the one hand, getting to write in the Star Wars universe felt like going all the way back to one of my very first experiences with a fictional landscape. The mythos is so deeply etched into my imagination; it’s a familiar and accessible place I’ve been playing in since childhood. But on the other hand, though I know I would have loved Hera as a little girl, I don’t think I would have understood her the way I feel I can at this stage in my life. She’s involved in this struggle for balance that feels so authentic to me, both in terms of juggling multiple roles — ace pilot, inspiring leader, resistance fighter, devoted mentor, den-mother, conflicted daughter — and also in terms of making peace with her own drive. Her intensity and focus are obviously huge assets, but at the same time, they’re elements that potentially threaten her capacity for intimacy and contentment in her personal life. To some degree or another, I feel like that describes every woman I know over the age of 30! Shout out, too, to the amazing Vanessa Marshall. It was so helpful having her voice as a touchstone. 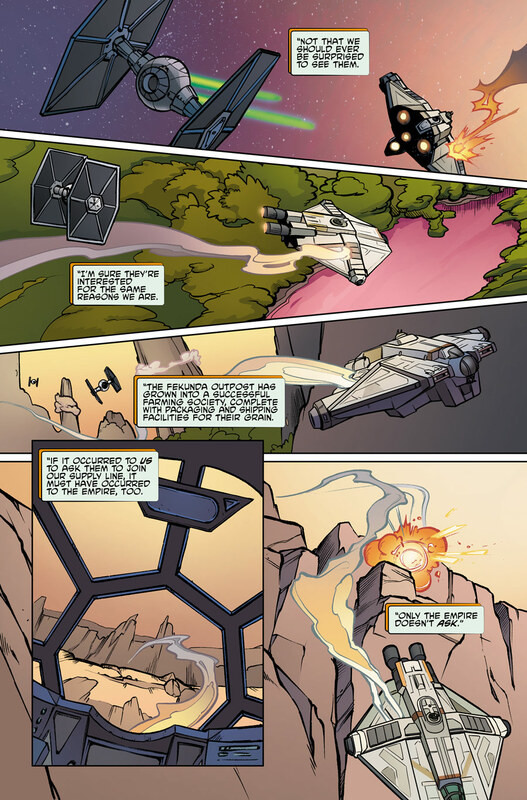 StarWars.com: And Eva, from the very first page you demonstrated a keen eye for illustrating Hera’s skill as a pilot and her concentrating-to-avoid-Imperials face. You previously illustrated a comic for the official Star Wars Rebels Magazine, so you had some experience aboard the Ghost when you came into this project. How did you try to make this comic your own? Eva Widermann: Drawing comics for the Star Wars Rebels Magazine really opened another door for my professional career and I can’t stop thanking all the people involved that kept kicking my bum to go and give it a try after I was informed that Panini Germany was looking for another artist to join the Star Wars Rebels Magazine crew. Star Wars Rebels fascinated me from the beginning and I remember the first time I got to draw Hera for only one or two panels. I wished I could draw her more often… Well, my wish came true. StarWars.com: I love all the new characters in this issue, especially Lemnos! What was your creative process when you sat down to collaborate on this comic? Did you come in with a list of things you definitely wanted to accomplish here (like, including Chopper)? Devin Grayson: If I’m remembering correctly, my directive was simply: “a mission Hera goes on with Chopper on the Ghost in between episodes.” I don’t know that you can tell a story about Hera without including the Ghost, and I was super-psyched to get to play with Chopper, but it actually took great restraint not to include the rest of the crew — especially Kanan, because my writing has always been about relationships and there’s so much great stuff going on there! But I only had one issue, and one of the things I really wanted to show about Hera is how good she is at reading and inspiring people, and although at some level she’s continuously doing that with the entire team we know and love, I thought it might be more powerful to show her doing it with characters she was meeting for the first time. There’re kind of two types of leaders: the ones who define and spark the movement, and the ones who keep that fire burning by quietly helping people find their place in it. Hera’s arguably both, but I really wanted to show that second part in action. In terms of Lemnos, he surprised even me. Originally I had him slotted for a less pivotal role, with the idea that Au B’ree was going to be the main focus of Hera’s efforts, but Hera was like, “Nope, she already knows what she’s doing, he’s the one who needs to come with me and test himself…” And, you know, there’s really no point in arguing with Hera, so I followed her orders. 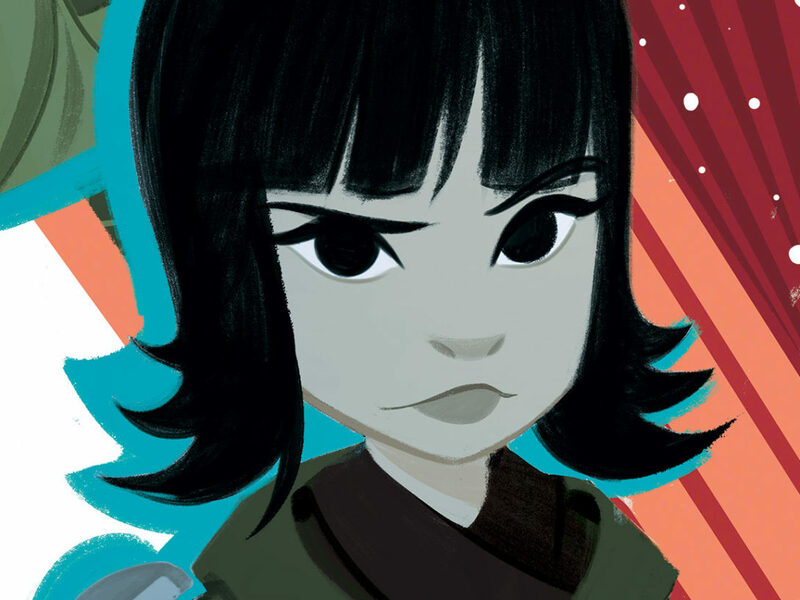 I just also have to mention, in praise of Eva, that Zhou’s haircut was, like, really important. To him, of course, but also in terms of my conception of him. When I first saw Eva’s rendering of him, I was over the moon. There’s no better feeling than when someone you’re working with completely understands what you’re trying to communicate. Oh, and she put those pictures of his parents in his room of her own accord, and there honestly could not be a better prop to anchor his characterization. Perfection! StarWars.com: I’m curious about how Eva’s sketches and stylistic choices influence the writing itself and vice versa. When you’re working together, which do you tackle first, the writing or the art? Devin Grayson: I’ve always worked writing first, which means that Eva was working off of a full, completed script. But I know that the artists are the visual experts and so I try to temper my natural bossiness and leave them room to express themselves within the story. Once she started working, we e-mailed back and forth to clarify a few things, but mostly I just got to sit back and watch her bring the pages to life. Our colorist, Monica Kubina, is hugely talented, as well, and our editor, Denton Tipton, was really committed to helping us get the issue exactly where we wanted it, so toward the end there was a lot of collaboration – e-mails going back and forth with like, two paragraphs gushing over one another’s work and then one sentence about a small tweak or edit. Because of the short timeframes we’re usually working in, comic-working relationships tend to develop toward the backend of projects, with people starting off not knowing one another and ending up as passionate collaborators. 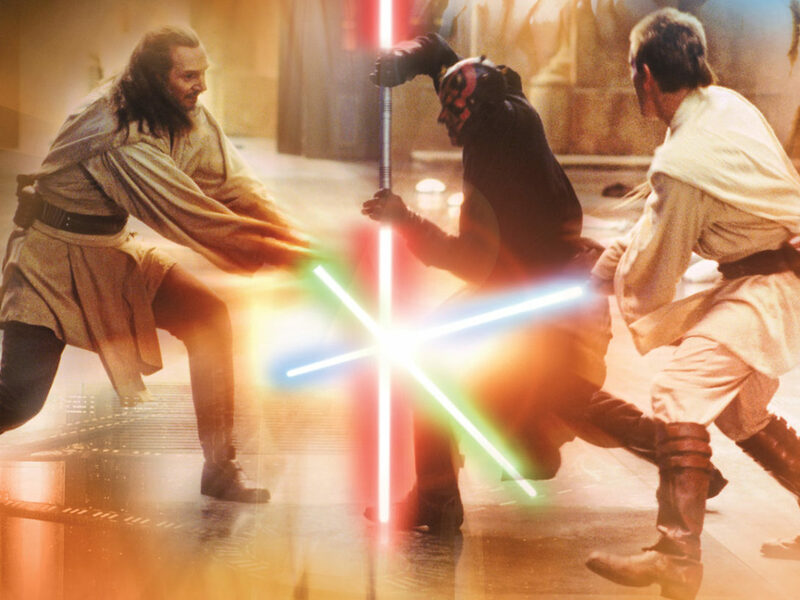 StarWars.com: What does Star Wars mean to you on a personal level? And how has the Forces of Destiny series changed or amplified that? Devin Grayson: The original Star Wars trilogy lit up my childhood and informed almost every let’s-pretend game I played between 1977 and 1980, but I have to admit that I fell off a bit during the prequels era. More recently, my husband and 10-year-old have been really into the movies and TV series, so I sort of started paying attention again over their shoulders. And even though I assume Star Wars Rebels was created to get or keep kids invested in the Star Wars universe, I have to admit that Hera and Kanan’s relationship was what got me completely hooked again. I practically shoved [my husband] and my step-son off the couch to get a closer look. Next thing you know, I’m buying movie tickets and reading licensed novels and doing what my husband calls “deep dive character research,” because almost every time I get attached to fictional beings that way, I end up writing them down the line. And sure enough…! Eva Widermann: Just like Devin, I grew up with Star Wars surrounding my childhood. I’ve always been more of a high fantasy/medieval fan rather than sci-fi, but I remember watching the re-digitized trilogy in the late ‘90s and I thought, hey, Star Wars is kinda high fantasy… just in a galaxy far away. I also really enjoyed the following movies, and mostly for the visuals — I couldn’t stop looking at the costumes and designs and the concepts. Dressing a Galaxy is still one of my favorite art books! Of course, being married to a Star Wars fan and eventually working on the Rebels comics and digging deeper into the Star Wars universe has intensified my fascination. I just look forward to showing the Hera comic to my son one day and hope he enjoys reading it as much as I enjoyed drawing it. StarWars.com: The Forces of Destiny animated series is about small acts of kindness and bravery, and in this case that means Hera training some would-be rebels the subtle art of resistance. Why did you choose this theme for Hera’s story? Devin Grayson: I pitched a few different stories, all focusing on different aspects of Hera’s character: I had a story that focused more on her piloting and one that examined her role as ad-hoc den mother to the crew of the Ghost. 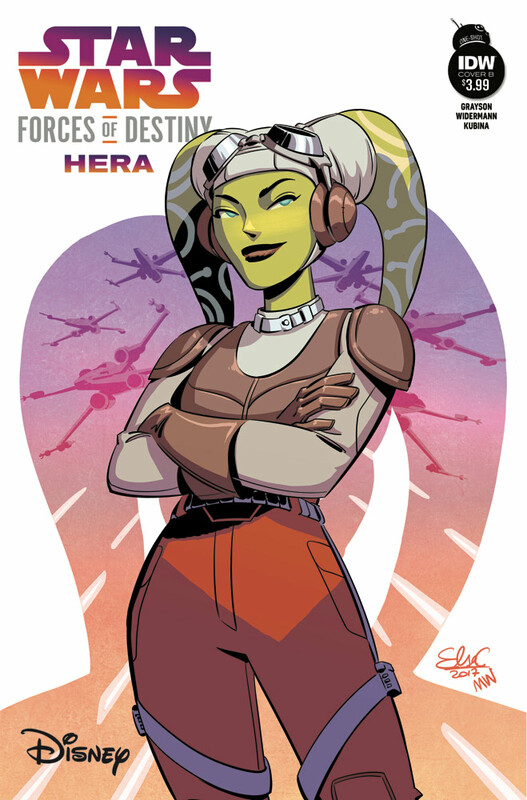 But I’m glad we went with Hera the Leader, because it feels very timely to me. What better question right now than how do you inspire people to action when they’re already feeling overwhelmed with the daily struggle of existence: their families and their communities and their jobs? How do you recognize when it’s necessary to fight back and what are some ways you can do that without putting everything you love at even greater risk? Hera’s someone who can answer those kinds of questions. She understands that to motivate people, you have to see both what they’re capable of in that particular moment of time, and also what they have the potential to achieve down the line. I wanted to try to show what that might look like. 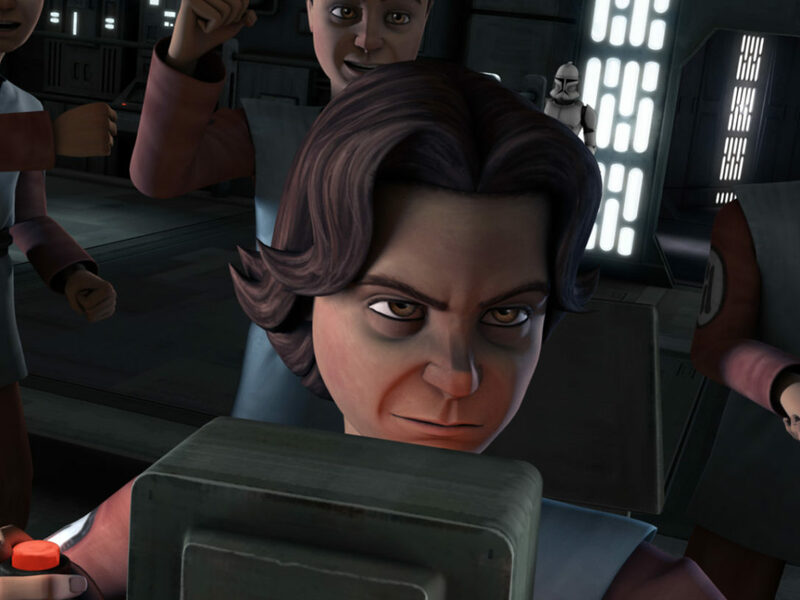 StarWars.com: How would you describe this mini adventure in your own words? Did you have any input on which character you would focus on? Devin Grayson: I would say that this is a story about how one person can mobilize a community. 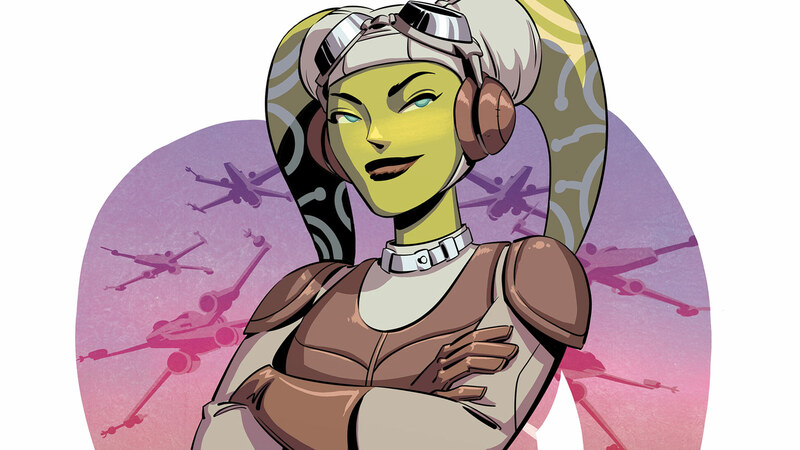 Or, more specifically, it’s a story that attempts to demonstrate Hera Syndulla’s leadership skills, and the impact she has on even the people she meets only briefly. 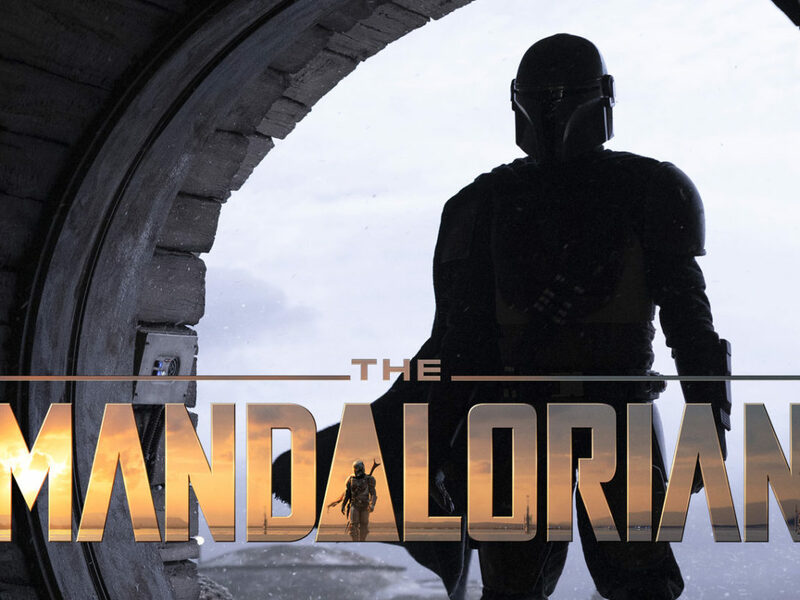 StarWars.com: What was the biggest challenge in this project? Devin Grayson: In order to show how effective Hera is at inspiring people, I had to let her point them in different directions and then get out of their way to some extent. That felt like a risk since I only had a limited number of pages to communicate how special I think she is. I hope that you can feel her in the story even when you can’t see her. 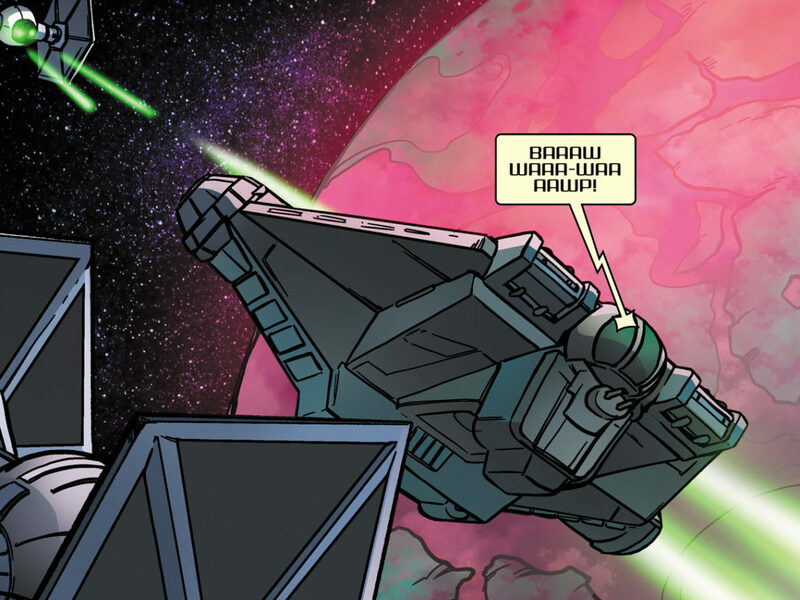 StarWars.com: Devin, what was your favorite part of this comic to write? Devin Grayson: I amused myself by making up my own key for Chopper’s dialog, which I can actually translate word for word, and I really enjoyed the strained dynamic between Mettic and Zhou. But my very favorite part was thinking about how Hera would communicate to people what she saw in them. Sometimes she’d feel she could just tell them, like with Au B’ree, sometimes she felt she had to show them, as with Lemnos and his bravery, and sometimes she decided it was better not to say anything at all, like in the face of Burl’s idealism, which I think she hoped would grow and mature into something that someone else could safely channel down the line. StarWars.com: And Eva, what was your favorite page or scene to illustrate? Eva Widermann: Obviously, every page which featured Hera. No, I really liked the part towards the end where Hera has a one-on-one talk with Au B’ree at night by the waterfall. 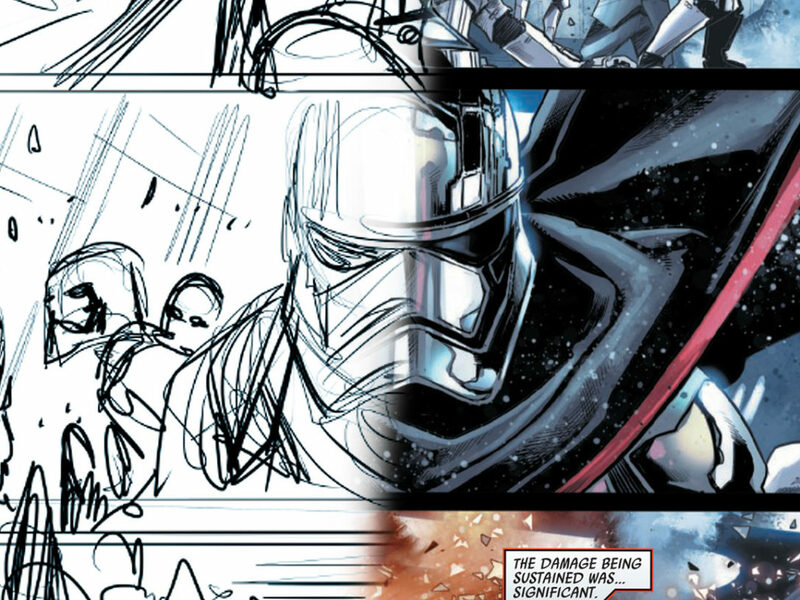 StarWars.com: And when you look at the finished comic now, what are you most proud of? 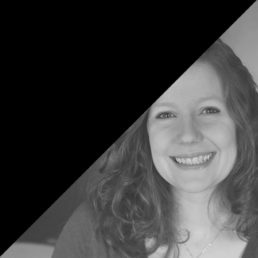 Eva Widermann: The fantastic teamwork all while living across the planet. It was the first time I joined forces with a colorist, as well, and Monica Kubina was an incredible partner to work with. Devin was always there for me when I had any further questions and she was quick with explaining parts of the story or sending references. Just a big massive THANKS to all of you! Devin Grayson: I’m very pleased that we had the chance to show a female being bend-in-the-wind strong instead of tough-as-nails strong. The characters in the Star Wars universe tend to carry a great deal of symbolic weight, but at the same time, they’re always unique individuals, which is what gives us room to care about them. It feels awesome to have been able to participate in such dynamic, generation-spanning storytelling.